"The Last Frontier (of Globalisation)"
Maude Barlow, Ottawa, ist Vorstandsvorsitzende des Council of Canadians und eine Kämpferin für Bürgerrechte. Sie ist Autorin mehrerer Bücher, einschließlich "MAI: The Multilateral Agreement on Investment and the Threat to Canadian Sovereignty", zusammen mit Tony Clarke. Ihre Autobiographie "The Fight of My Life: Confessions of an Unrepentant Canadian", wurde 1998 veröffentlicht. Neuer (2001, mit Tony Clarke): "Global Showdown - How the New Activists Are Fighting Global Corporate Rule". Übersetzungen in andere Sprachen (besonders osteuropäische) erbeten! Diese Übersetzungen befinden sich auf meinem PC, teilweise liegen sie noch gedruckt vor. Dies alles ist Teil einer Publikation zum Thema GATS, entnommen meiner Seite bei ATTAC-Tübingen, www.attac.de/tuebingen2/kalender/start.php4?monat=6&jahr=2005 - Dort weitere (auch ältere Hinweise und Links zum Thema. A global agreement currently being negotiated will allow corporations to take over the world's public services  whether people want it or not. If implemented, it will spell the end of the public sector. Maude Barlow explains why it must be stopped. If you were Bolivian, you'd know why the world should be worried about GATS. Take a trip back in time to spring 2000, to the city of Cochabamba in the South American nation. Under pressure from the World Bank, the Bolivian government had just sold off the city's public water system to a US water corporation. This was all part of the World Bank's programme to 'streamline' the Bolivian economy  in other words, to open it up to Western-based corporations. It was, the Bolivians were assured, all in the name of eco­nomic efficiency. The people of Cochabamba soon found out what that effi­ciency amounted to. Just weeks after the corporate flag had been raised over what had been a public utility, water rates were hiked up massively. Many of the peasant fami­lies of Cochabamba were required to pay up to a third of their wages for their water  more than they spent on food. The charges were crippling, and there was no alternative  even collecting rainwater to drink was made illegal. Complaints had no effect on the water company, whose aim was now profit rather than public provision of a basic need. So Cochabambans took to the streets. In April, hun­dreds, then thousands, joined in demonstrations against the priva­tisation of this most basic resource. Four days of strikes brought the city to a standstill. The government gave in and promised to lower water rates. Then they changed their mind. The protests began again, and got bigger. Tear gas was used, and martial law was declared. Cochabamba de­scended into chaos. Still the government, and the company, refused to give way. Protest leaders were rounded up at night. Dissenting media outlets were shut down. The profits of a foreign corporation took prior­ity over the everyday needs of the Bolivian people. - But those people did not give up. The protests grew still fur­ther. Eventually, after the military shot a 17-year-old boy in the face for protesting, even the government reali­sed the game was up. Two days later, they signed an accord agree­ing to return the city's water supplies to public control. But it was a victory that may not last. And next time, how-ever big the protests, the people will be wasting their time. Just a few months earlier, in the north American city of Seattle, the November 1999 meeting of the World Trade Organisation (WTO) was shut down  also by mass pro­tests. It was, it seemed, an event that had stopped the forces of corporate globalisation in their tracks  at least for the time being. But not so fast. Just months after the smoke and pepper spray had lifted and the protesters, government officials and reporters had gone home, a whole new round of inter­natio­nal talks was quietly launched in Geneva. They took place under the auspices of a little-known agreement call­ed the General Agreement on Trade in Servicesor GATS. You probably haven't heard of GATS  few people have. That's the idea. But you should know what it will mean for you. For those negotiations are still, quietly, going on. Their purpose is, simply and starkly, to prise open the whole world's public services to corporate takeover; to make the very concept of public services not only unlikely, but pro­bably illegal. - That's what GATS is about. If it had been in force last April, it would, quite simply, have been illegal for the Bo­li­vian government to renationalise the Cochabamba water company. Good news for corporate profits. Bad news for people. GATS is paving the way for the privati­sation of public services across the world. Nothing will be exempt  edu­cation, healthcare, social services, postal services, mu­se­ums and libraries, public transport; all will be opened up to corporate interests. Every and any service currently pro­vi­ded by governments in the name of the public good will be opened up to private corporations,and run for profit.GATS could, quite simply, be globalisation's last frontier: the end of the very concept of not-for-profit public services. GATS will come into force in over 130 countries, quietly, and with little fuss, in less than 2 years. If nothing is done. The mandate of GATS is the 'liberalisation of trade in ser­vices'. In plain English, this means the dismantling of go­vernment barriers to the privatisation of public services. Its aim is to make it impossible for governments to run public services on a not-for-profit basis, without the participation of private companies.GATS will allow the WTO to restrict government actions relating to public services through a set of legally binding constraints. Any govern­ment dis­obeying the rulings of the WTO will face sanc­tions. ing; broadcasting and many others. The implications of this are chilling. It means that the 137 member countries of the WTO are about to agree to open up all their public services, lock stock and barrel, to free trade laws  the same laws which have allowed the WTO to strike down health, food safety and environmental laws in dozens of countries. The corporate wolves are being allow­ed into the last remaining fold. And once they get in, it will be too late to ever get them out. How could this happen? How could governments be allow­ing this removal of the most basic of rights without even asking  or informing  their people? To understand the answer, it is necessary to go back to the origins of the world trade system. In 1947, a new trade body  the International Trade Organisation  was created, with a very different mandate to today's WTO. The ITO was to promote orderly global trade under the jurisdiction of the UN. The pursuit of trade was to explicitly take into account important social considerations, including full employment and the human and social rights guaranteed by the UN's Universal Declara­tion of Human Rights. The new ITO even had the right to regulate transnational capital to ensure it served these social ends. But the ITO was stillborn  killed by the US, which was intent on building a very different global trade and invest­ment regime based on fewer, not more, regulations; a re­gime which would benefit itself, its big corporations and its international interests. So the US created the GATT and removed it from the jurisdiction of the UN. Since the for­mation of the GATT in 1947, there have been eight 'rounds' of trade negotiations, each focused on progressively spread­ing the bounds of global trade. The first six rounds concen­trated exclusively on reducing tariffs (border taxes), and the growing power of the GATT went largely unnoticed by civil society. But the seventh 'Tokyo Round' (1973-1979) coincided with the emergence of the so-called 'Washington Consensus'  a global economic model based on the principles of privati­sation, free trade and deregulation  and the rise of giant transnational corporations who, because they were now global operations, had escaped nation state regulations and wanted international deregulation as well. These included giant service corporations eager to get their hands on go­vernment monopolies, particularly in the social services sectors. For the first time, the GATT began to deal in 'non­tariff barriers'  the rules, policies and practices of govern­ments, such as environmental laws and publicly-funded social services, that can impact on trade. The Uruguay Round of negotiations (1986-1994) expanded the scope of subjects dramatically, naming services for the first time, and covering many areas not normally associated with trade. Suddenly it became clear to many NGOs, social justice ad­vocates and environmentalists that, while they had been busy lobbying their governments and the UN, much of the power they previously held had shifted quietly into a new arena unelected, and largely unseen, global trade regimes. The architects of the final agenda for the Uruguay Round wanted to put in place a body of rules governing the global economy  rules that would benefit them, and which would be backed up by the powers and tools of a global govern­ment. It was the Uruguay Round which led to the creation of the WTO  the global policeman for the trading agenda of rich corporations. Unlike the GATT, which was effect­ively a business contract between nations, the WTO was given 'legal personality'. It has international status equiva­lent to the United Nations, but with the addition of having enormous enforcement powers. Unlike any other global institution, the WTO has the legis­lative and judicial power to challenge the laws, practices and policies of individual countries and strike them down if they are seen to be too 'trade restrictive'. The WTO contains no minimum standards to protect labour, human rights, social or environmental standards; every single time (but one) that the WTO has been used to challenge a do­mestic health, food safety, fair trade or environmental law, the WTO has won. Over the past six years, the operations of the WTO show that it has become the most powerful, secretive, and antidemocratic body on Earth, rapidly assuming the mantle of a global government and actively seeking to broaden its powers and reach. Public services are next in line for the WTO's corporate battering ram. Global corporations have been so successful in persuading governments everywhere that their agendas are the same  that the pursuit of corporate profit and the good of society are one and the same  that their access to many areas of public life has already been improved. Now they want to go the whole hog. Services is the fastest-growing sector in international trade, and offers rich pickings for canny corporations. And of all public services, health, education and water are shaping up to be the most potentially lucrative. Global expenditures on water services now exceed $1 trillion every year; on educa­tion, they exceed $2 trillion; and on health care, they ex­ceed $3.5 trillion. In many parts of the world, what GATS will accelerate has already, tentatively, begun. The USA might suggest a model for the dismantling of pu­blic servi­ces which GATS will unleash all over the world. In Ame­rica, health care has already become a huge busi­ness, with giant healthcare corporations registered on the New York Stock Exchange. Rick Scott, the president of Colum­bia, the world's largest for-profit hospital corpo­ration, is clear that health care is a business, no different to the air­line or ball­bearing industry. He has publicly vowed to destroy every public hospital in North America  doctors, he says, are not 'good corporate citizens'. Meanwhile, investment houses like Merrill Lynch are al­ready predicting that public education will be globally pri­vatised over the next decade the way public health has been. They say there is an untold amount of profit to be made when this happens. The European Union recently announced that every publicly-run school in Europe must be twinned with a corporation by the end of the decade. The conquest of foreign markets has now become a key com­mon strategy among higher education institutions around the world. Many parts of the 'Third World' have been forced to dis­mantle their public infrastructures in recent decades under International Monetary Fund-imposed structural adjust-ment programmes. In order to be eligible for debt relief, for ex­ample, dozens of 'developing' countries have been forced to abandon public social programmes over the last 20 years, allowing foreign corporations to come in and sell their health and education 'products' to 'consumers' who can afford them and leaving millions without basic social services. Latin American countries are currently experi­encing an invasion of US healthcare corporations and Asian countries allow branch plants of foreign-based university and health care chains. Recently, the World Bank has been forcing the same countries to privatise their water services and are openly working with corporate wa­ter giants like Vivendi and Suez Lyonnaise des Eaux, to establish their 'rights' to profiteer in the Third World. Now, through the GATS negotiations, these corporations want binding, global and irreversible rules guaranteeing them access to government service contracts everywhere in the world. And they are succeeding. Already, over 40 countries, including all of Europe, have listed education within the realm of the GATS, opening up their public education sectors to foreign based corporate competition. Almost 100 countries have done the same with healthcare. As the new talks progress, it will be very hard for any country to swim against the tide  even if any are brave enough to try. The existing GATS agreement  which is by no means finalised, and could get even worse  covers all service sectors and most government measures, including laws, practices, regulations and guidelines, written and unwrit­ten. No government measure that affects trade in services, whatever its aim, even for environmental or consumer pro­tection, universal coverage or to enforce labour standards, is beyond the reach of GATS. Nothing public is safe. Essentially, the agreement would prohibit 'discrimination' against a foreign corporation which applies to run a public services  even if that corporation has a bad track record in environmental or social areas. It has also already been agreed that some existing WTO rules will apply 'horizon­tally' to public services across the board, whether or not the area has already been listed with the GATS. One such 'hori­zontal' rule is 'Most Favoured Nation', which says that, once the corporations from one country are operating in your market, you must allow the corporations from all countries in. This rule will apply to all services, even ones still pro­tected in some countries, like health and educa­tion. Similarly, under the horizontal rule, all regulations in any given sector, including social services, must be 'Least Trade Restrictive'  in English, all public services  even social welfare  will have to operate market mechanisms. Defenders of GATS insist that its opponents are being hy­sterical. There is nothing to worry about, they say. They point to the 'exemption' within GATS for some public ser­vices provided by governments. Some countries, they will point out, have already claimed exemptions for their publicly-funded social security pro­grammes. But it's not as simple as that. Under GATS article 1.3C, for a service to be considered to be under government authority, it must be provided 'entirely free'. That means that the service in question must be completely financed by government and have no commercial purpose. Since hardly any service sector in the world is entirely free, this exemp­tion is increasingly meaningless. WHAT 'S PROPOSED FOR THE GATS? In his new book, GATS, How the WTO's New 'Service' Negotiations Threaten Democracy, Canadian researcher Scott Sinclair identifies the three priorities of the current round of negotiations. First, GATS officials will attempt to expand corporate access to domestic markets. Governments will be under great pressure to list more of their services and exempt fewer. The most potent weapon will be the push to have 'National Treatment' applied horizontally. National Treat­ment is a fundamental tenet of free trade; it forbids govern­ments from favouring their domestic sectors over foreign-based companies. Already, National Treatment applies to certain services in the GATS; the goal is to apply it across the board. On top of this, the powerful Western countries will be pres­sing for more binding Market Access provisions, pressing 'developing' countries for guaranteed, irreversible access to their markets, and diminishing democratic go­vernment authority. Secondly, GATS officials are seeking to place severe re­straints on domestic regulations, thereby limiting govern­ments' ability to enact environmental, health and other standards that hinder free trade. Article VI:4 calls for the development of any 'necessary disciplines' to ensure that 'measures relating to qualification requirements and proce­dures, technical standards and licensing requirements do not constitute unnecessary barriers to trade'. Translation: don't let your pesky national standards get in the way of foreign corporate interests. This provision would also apply horizontally. Governments would be compelled to demonstrate that regulations, standards and laws were 'ne­cessary' to achieve a WTO-sanctioned objective, and that no less commercially-restrictive alternative was available. Third, the new talks are aimed at developing new GATS rules and restrictions, intended to further restrict the use of government subsidies, such as those used in public works, municipal services and social programmes. A particularly threatening development is the demand for an expansion of the blandsounding 'Commercial Presence' rules. Commer­cial Presence allows an 'investor' in one GATS country to establish a presence in any other GATS country and com­pete not only for business against domestic suppliers but for public funds against domestic publicly funded institu­tions and services. Together, these proposals will hugely expand the authority of the WTO in the day-to-day business of governments. They will make the exercising of democratic control over the future of basic public services a virtual impossibility. Every single aspect of public life will be affected by GATS. Already, as a result of economic globalisation, every country in the world is undergoing a fundamental transformation. Wealth is gushing to the top as a growing economic chasm separates those who are benefiting from the system from an everexpanding underclass. To ensure what Ameri­can education writer Jonathan Kozol calls 'survival of the children of the fittest,' a tiered system of education and social security is becoming the norm all over the world as we collectively abandon an earlier dream of universal rights. We are creating top schools and healthcare systems for the elite of the world and a tiered system  or no system at all  for those who don't count. The GATS serves this corporate, profit-driven vision of society. It's important to understand, in no-nonsense terms, what is at stake. Under the proposed GATS regime, foreign health and edu­cation corporations will have the right to establish them­selves in any WTO country. They will have the right to compete for public money with public instituti­ons like hospitals and schools. Standards for health and education professionals will be subject to WTO rules to ensure they are not an 'impediment to trade'. Degree-granting authority will be given to foreign-based education corporations. Fo­reign-based telemedicine services will become legal. And countries won't be able to stop the trans-border compete­tion of low-cost health and education professionals. Already, the WTO Services Division has hired a private company called the Global Alliance for Transnational Education to document worldwide policies that 'discrimi­nate against foreign education providers'. The results of this 'study' will be used to pressure those countries that still retain a public education sector to relinquish it to the global market. Disturbingly, GATS also includes authority over 'environ­mental services' and natural resource protec­tion. Our parks, wildlife, river systems, and forests could all become contested areas as global transnational 'environmental ser­vice' corporations demand the competi­tive model for their 'management'. Profit-hungry child care chains would inva­de every country, as would prison chains like Wackenhut, with its reputation for violence and abuse against both pri­soners and staff. Virtually unlimited access to foreign sup­pliers would have to be given to municipal contracts in construction, sewage, garbage disposal, sanita­tion, tourism and water services. Simply put, the 'commons'  or what's left of it  will come under full assault if GATS is enacted. What used to be areas of common heritage, like seeds and genes, air and water, culture and heritage, health care and education, will be slated to be commodified, privatised and sold to the highest bidder on the open market. Countries like Canada and France, which have (and cherish) national, universal health care and education systems will lose them. Coun­tries like Britain and Chile, which once had universal so­cial programmes, or the US, which has never had public health care, will have a public model closed to them in the future, as would countries like India and South Africa, struggling now to ensure such rights to their people. If GATS is to be defeated, there really is no time to lose. The world needs to wake up  and fast  to what is being done behind its back. We urgently need an international movement of the kind that came together to fight the Mul­tilateral Agreement on Investment (MAI) and went on to shut down the streets of Seattle. (For a list of groups and individuals already fighting GATS, see below.) We need research on every aspect of the GATS in every country, and we need to share it. We need to form common fronts in every country which would include all the major sectors involved  educators, health care workers and advocates, public sector unions, environmentalists, farmers, writers and artists, indigenous peoples, and others. We need solidarity, cooperation and speed. We need 'GATS-Free Zones' on universities and high school campuses, churches and local community centres. We need to go to our local governments and pass local resolutions against GATS. We need to write letters to our governments and local newspapers and alternative media publications. - Simply put, we must make the GATS a household word; and not a nice one. Opponents of GATS and the mindset behind it should have three basic demands. Firstly, we must call for a full morato­rium on the GATS negotiations and on the draconian provi­sions of the current agreement, such as the assault on do­mestic regulation. It is entirely unacceptable that our go­vernments are meeting behind closed doors to carve up our rights for the benefit of their corporate friends. This must stop immediately, while we take stock of the situation and take this issue to the public. Essentially, we should demand that 'the commons' be removed from free trade agreements altogether. Secondly, we need ironclad guarantees from our govern­ments that no future GATS negotiations would prevent governments from providing good public services to their citizens. Furthermore, we need a GATS that would seek to strengthen these domestic programmes through internatio­nal law, and encourage their development around the world. Finally, we must move towards true public engage­ment in the rules governing international trade. While we know that our governments are not going to listen to us because we have good arguments, but because we have political muscle, we must seek to create a global demo­cracy in which governments would serve their citizens and honour their commitments on human rights and ecological steward­ship. We must not sit silently by and allow these rights to be traded away. The world's people said no to the MAI. Increasing numbers said no to the Millennium Round of the WTO. We must now say no to the GATS. And we must be heard. There really is no alternative. 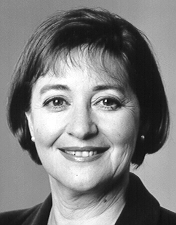 Maude Barlow is head of the Council of Canadians and a campaigner for citizens' rights. She is the author of several books, including MAI: The Multilateral Agreement on In­vestment and the Threat to Canadian Sovereignty, with Tony Clarke. Her autobiography, The Fight of My Life: Confessions of an Unrepentant Canadian, was published in 1998. New(2001): Barlow/Clarke, Global Showdown. How the New Activists Are Fighting Global Corporate Rule, ISBN 0-7737-3264-0. The POST DOHA GATS agenda is accelerating. By June 30, 2002, every country must list its requests for market access to other countries' service sectors and by March 2003, every country must respond to each request. All deals are to be finalized with the completion of this GATS Round by January 1, 2005. The process is not without problems, however. To date, 10 countries are opposed to the talks going ahead, and an international social movement is building to stop the GATS in its track. The Our World Is Not For Sale Net­work is determined to expose the real agenda of the WTO and re-assert the right of every person on earth to human and social rights and a safe and lasting environment.